You are invited to our latest networking event at the Rooftop at Hotel VIA, one of the most exciting venues in San Francisco on Thursday, April 25, 2019 from 6pm-8pm at Hotel VIA’s Rooftop Bar (https://www.hotelviasf.com/rooftop) located at 138 King St, San Francisco CA, 94107. The sky is the limit to your growing business at VIA Rooftop — which is a fully covered and heated rooftop bar with a view of the stars. 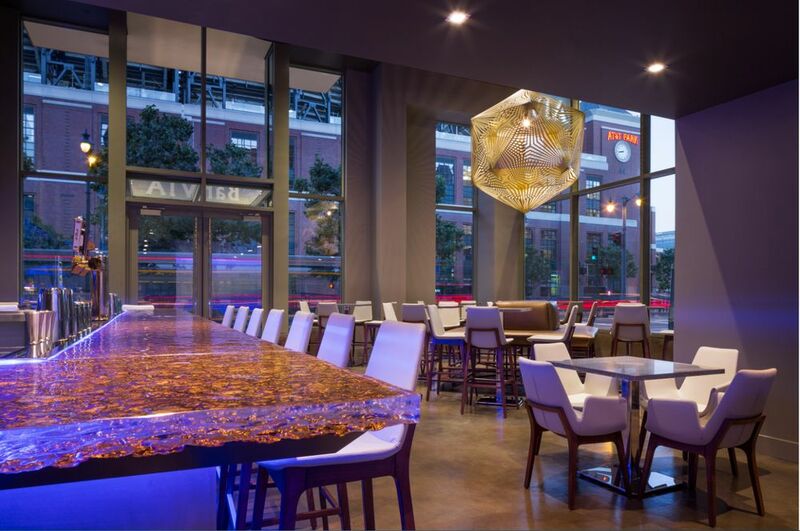 Located next to the Oracle ballpark (previously AT&T park), you can access the rooftop by heading through the main hotel lobby to the elevators on the left. Interested in meeting C level professionals, executives from startups, tech companies, law firms, and many other industries? Come to the beautiful Hotel VIA’s Rooftop Bar and be ready to build relationships, expand your network, and have a great time! This is a great opportunity to find new connections and meet new people in general. Some our of attendees work at companies such as Bank of America, Wells Fargo, Google, ZeroCater, Coffee Meets Bagel, Redfin, Ask.com, Comcast Ventures, Oracle, Salesforce, GoPro, Sequoia Real Estate, DoorDash, Hyatt Regency, BlueCart, Kaiser Permanente, IBM, Genentech, Deloitte, Nestle, Accenture, HP, Intel, Amazon, Lyft, Facebook, HSBC, Capegimini, Yelp, J.P. Morgan and more. If you haven’t seen the San Francisco skyline from the top of Hotel VIA’s Rooftop Bar, this evening will give you the exclusive opportunity to see the city from a new perspective. The Rooftop’s chic and comfortable design features club and view seating, private cabanas, fire pits, heat lamps and bars. The Rooftop is located right next to the AT&T ballpark. VIA Hotel also features Bar VIA, which is a great place to grab a beer before the game or relax with an exclusively created signature cocktail. Guests will be able to enjoy seasonally inspired small plates created by Chef Rafael Gonzalez along with a wide array of beers, wines and cocktails in this contemporary South Beach bar where neighborhood residents rub elbows with Hotel VIA guests from around the globe. David is a sought after speaker and the founder and chief business consultant for Piedmont Avenue Consulting, Inc. (www.PiedmontAve.com) where he and his San Francisco Bay Area based team create brand awareness, strengthen customer loyalty and generate new business by leveraging new technologies. Through his consulting, lectures, training’s and keynotes David Mitroff, Ph.D. (www.DavidMitroff.com) has educated more than 35,000 business owners. Dr. Mitroff is an instructor for several college programs including the University of California at Berkeley’s International Diploma Business Program and a Google Mentor for the Google Developers Launchpad Accelerator program. He has been a featured media expert for NBC, ABC, Forbes, Entrepreneur, Inc. Magazine, Washington Post, Hospitality Technology, Hospitality Net and more. RSVP Now! At this point, you have all the information you need… However, if you want even MORE information, feel free to keep reading. What can a coach really do for your business? David Mitroff Ph.D. has been a consultant, coach and mentor for many Bay Area companies and Startup. He uses his creativity and psychology experience to find the best way to make clients take proactive actions for their business that are fun to them. When is the last time you updated your bar program? Check out W Hotel bar and get some inspiration. Talk with our restaurant consultant and see how a bar program can boost your restaurant revenue. Do you have a product but don’t really know how to take it to market? Meet our expert and get some advice during the event on go to market strategies. WP Engine is a Hosted service provider, specifically tailored to WordPress websites and apps. Instapage – Get More From Your Digital Advertising Spend. Own your post-click experience and maximize your conversion rates with Instapage, the most powerful landing page platform for marketing teams and agencies.